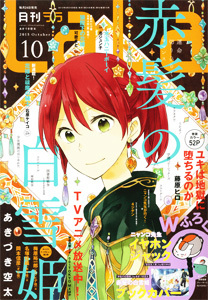 Kuro Lala One-Shot: "Kokoro Rental"
Here’s a one-shot from a mangaka that’s new to me named Chise Hano. This story has the same campy horror funness as “The Doll Rebirth Workshop”. Once again, we have another plain girl who sells her soul to the devil. Hahaha! I was laughing heartily when I first saw this one-shot. It’s so ridiculous. I’d like to the thank Jade for doing a wonderful translation and English adaptation and I’d like to thank the rest of the Omari’s Sister team who worked on this for lightening the load on me. You all did a beautiful job :). And now for … Continue reading Kuro Lala One-Shot: "Kokoro Rental"